When we begin landscape maintenance with a new client, more often than not, their lawn and/or landscape has seen better days. Most homeowners have the best intentions of taking care of their investment, but life gets in the way! Busy schedules can result in neglected lawns and garden beds, and within a few months, weeds and debris litter a once tidy landscape. 1. Meeting with the client to determine areas of concern, priorities, and aesthetic preferences. 2. Discerning the overall health of the lawn and condition of plants on the property, and what practices will benefit their appearance. 3. Auditing the sprinkler system to ensure that lawn and bed areas have adequate coverage. 4. Working on the overall health of the lawn, a process that includes consistent watering, fertilizing, and mowing. 5. Removing existing weeds from garden beds. 6. Removing dead plant material and debris. 7. 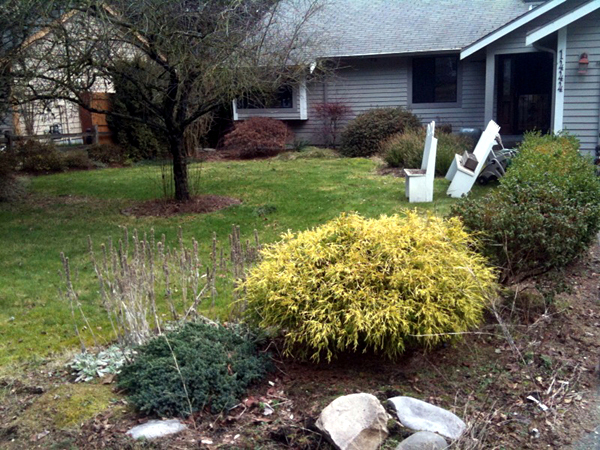 Pruning, trimming, and shaping plants to control size and encourage healthy development. If you’re considering hiring someone to tend to your lawn or landscape, be sure that they have industry knowledge. There is no substitute for experience. Give us a call for a free consultation and estimate at 360-697-3215 or 253-530-0788. 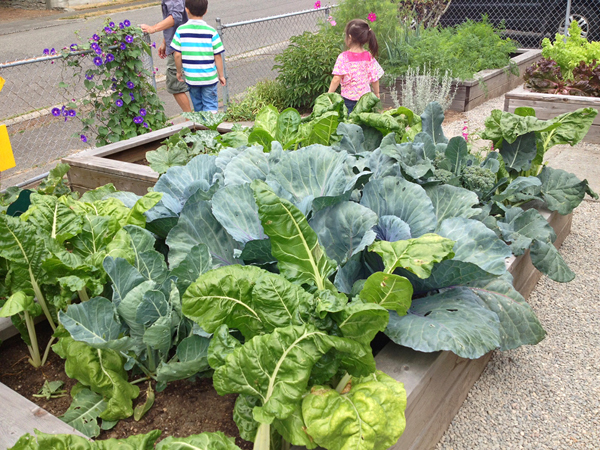 The 2nd annual Manette Edible Gardens Tour de Coop happened earlier this month on Saturday, August 3rd. My company for that day was my 6-year-old nephew, Preston, and 3-year-old niece, Olive. I would be lying if I said that I did not have an agenda. 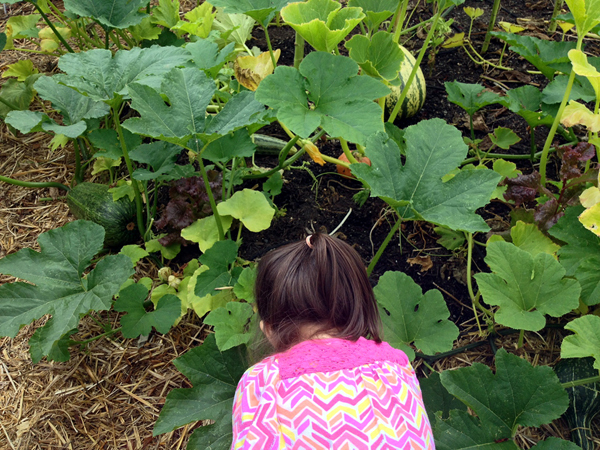 My goal was to not only give them an unforgettable experience, but to also plant a seed in their young minds that growing food is an awesome thing to do. Photos from the day are below. Enjoy! This generous man led Preston and Olive to the peas being grown in his family’s garden, and was kind enough to share some with them. The chickens were a highlight of the tour. Despite the fact that this garden was not on the tour (it was featured in 2012), this wonderful gardener shared handfuls of peas and carrots with Preston and Olive. Next year’s tour will happen on Saturday, August 2nd. If you’re interested in learning about composting, integrated gardening, urban bee keeping, and small space gardening, it’s not to be missed! If you live in the Manette area of Bremerton and want to be featured on the tour, contact manetteediblegardens@gmail.com. 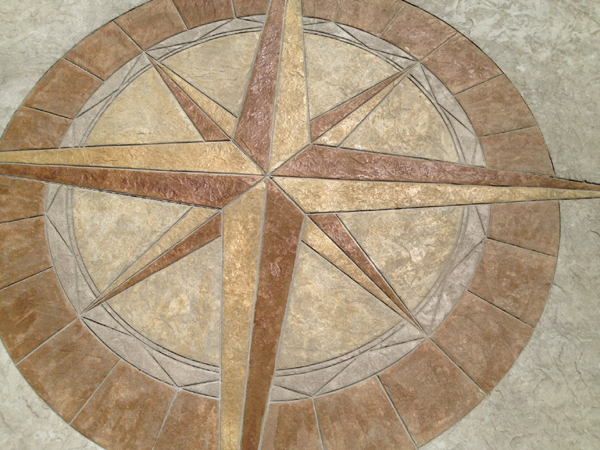 Adding a medallion stamp to your concrete patio adds a wow factor sure to impress your neighbors and guests. Coloring medallion stamps is a process that occurs after the concrete has been poured and stamped, and therefore allows you to choose from a wide range of color options. Select neutral, earthy tones as featured below, or go bold. It’s your choice! If you prefer, we can select the colors for you, taking into consideration the colors and features of your home and landscape. What’s your favorite medallion stamp? Log in to Facebook and let us know in the comment section below!